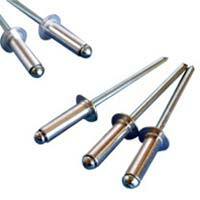 We offer an extensive range of Blind Rivets Manufactured from excellent quality materials. The high tensile strength and outstanding load bearing capacity of Blind Rivets offered by us makes them suitable for various industrial segments. Multi-Grip Blind Rivets provided by us are considered ideal for controlling stock and accommodating wide variations in material thickness. The Blind Rivets can be obtained by the customers at competitive prices. We are renowned as prominent Blind Rivets Manufacturer and Exporter. We are involved in offering to clients a superlative range of Aluminium Blind Rivets. 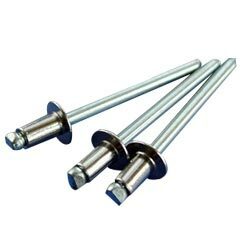 The Aluminium Blind Rivets are highly valued for its elevated quality in strength, durability, reliability, corrosion resistance and close tolerances. We offer the Aluminium Blind Rivets at market leading rates. 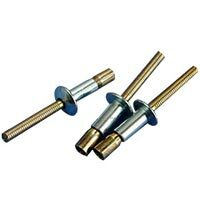 We provide excellent quality Grooved Type Blind Rivets range of grooved type blind rivets that are designed to be set within a hole in fibrous materials such as wood or plastic. 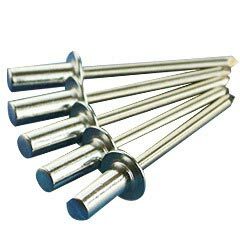 This range of Grooved Type Blind Rivets is highly durable in nature and has earned high praise from our esteemed clients all over the world. 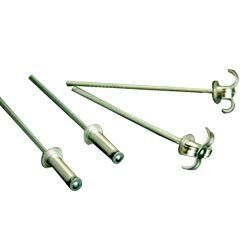 We bring forth supreme range of Multi Grip Blind Rivets can reduce inventory, simplifies stock control and accommodate wide variations in material thickness. 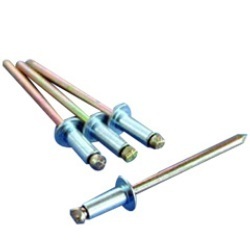 The Multi Grip Blind Rivets are designed to give high performance and cater to the requirement of diverse industries. We offer the Multi Grip Blind Rivets at competitive prices. We offer a superlative variety of Peel Type Blind Rivets, which are suitable for joining plastic, rubber, wood and laminates. 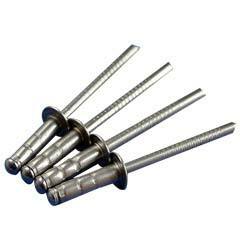 Today, we are listed as one of the prime Manufacturers and Exporters of Peel Type Blind Rivets. 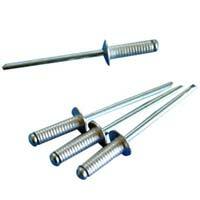 Customers can be eased with the affordable rates of the Peel Type Blind Rivets.